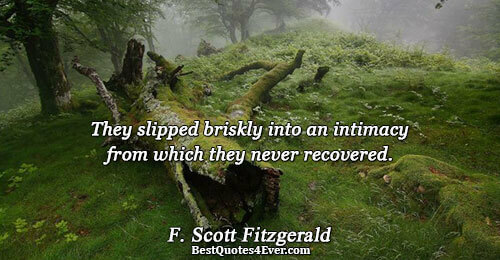 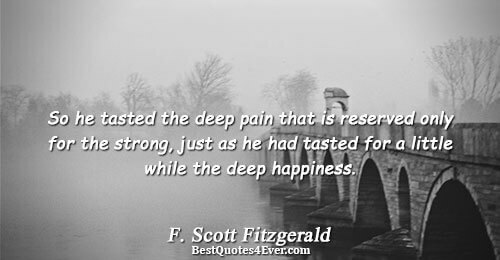 Francis Scott Key Fitzgerald (September 24, 1896 – December 21, 1940) was an American novelist and short story writer, whose works are the paradigmatic writings of the Jazz Age. 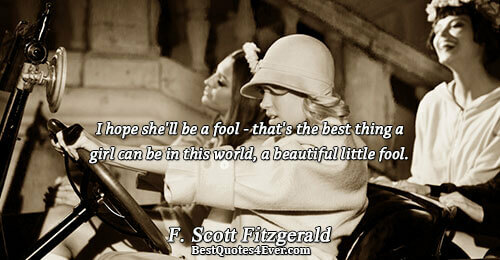 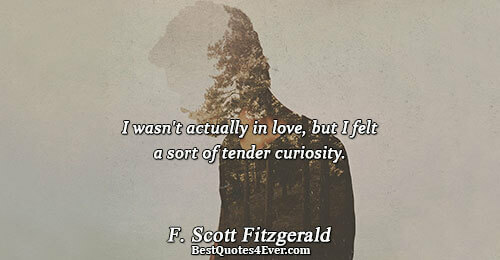 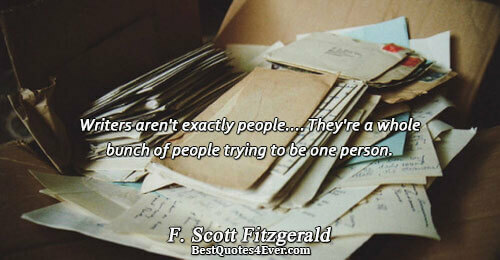 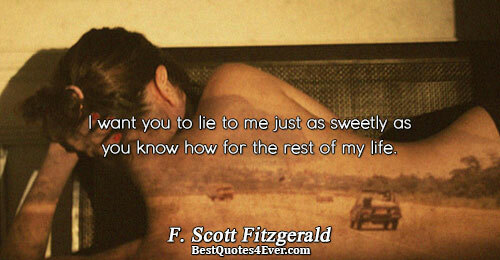 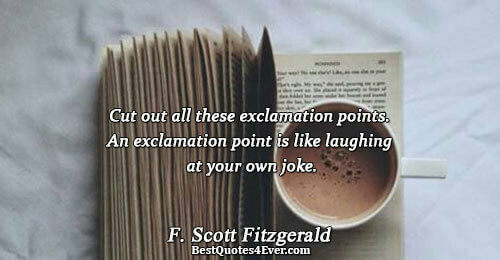 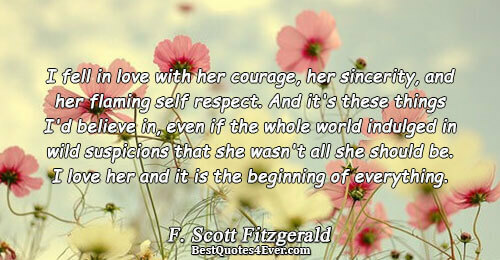 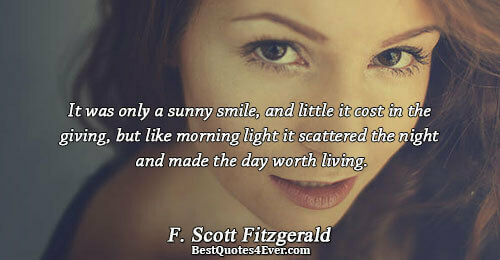 He is widely regarded as one of the greatest American writers of the 20th century. 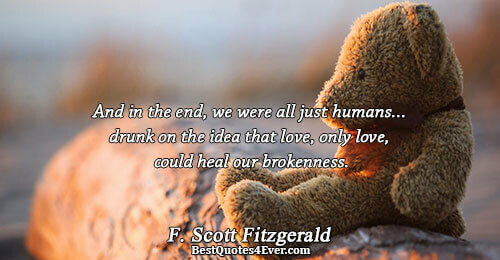 And in the end, we were all just humans.. drunk on the idea that love, only love, could heal our brokenness. 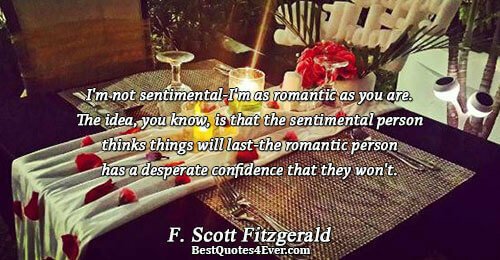 person has a desperate confidence that they won't. 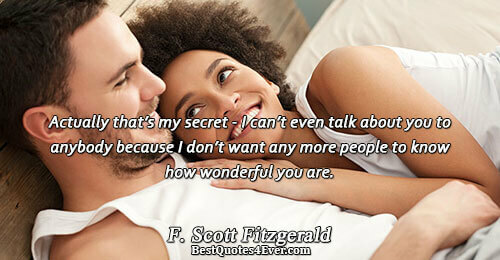 Actually that’s my secret - I can’t even talk about you to anybody because I don’t want any more people to know how wonderful you are. 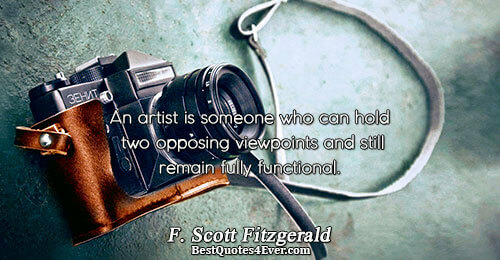 An artist is someone who can hold two opposing viewpoints and still remain fully functional. 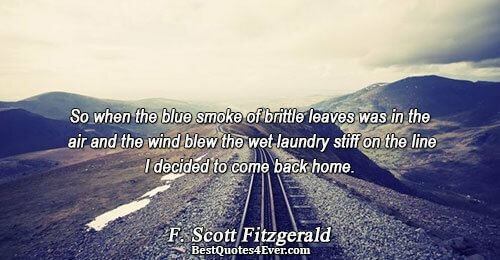 So when the blue smoke of brittle leaves was in the air and the wind blew the wet laundry stiff on the line I decided to come back home. 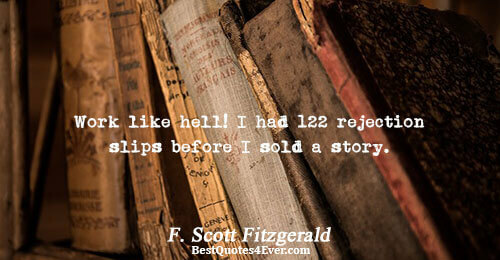 My whole theory of writing I can sum up in one sentence. 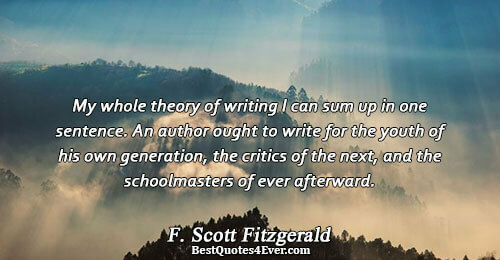 An author ought to write for the youth of his own generation, the critics of the next, and the schoolmasters of ever afterward. 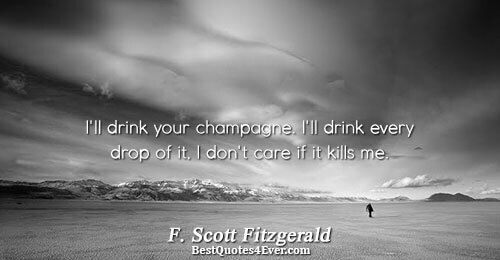 I'll drink your champagne. 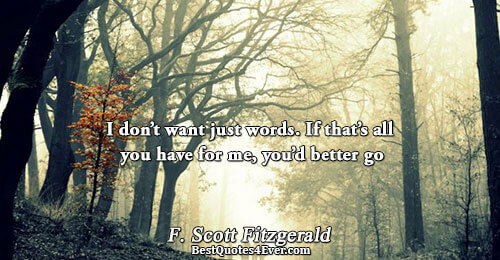 I'll drink every drop of it, I don't care if it kills me. 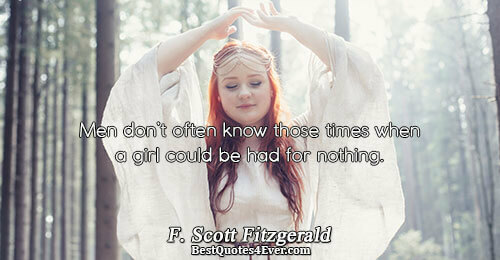 Men don’t often know those times when a girl could be had for nothing. 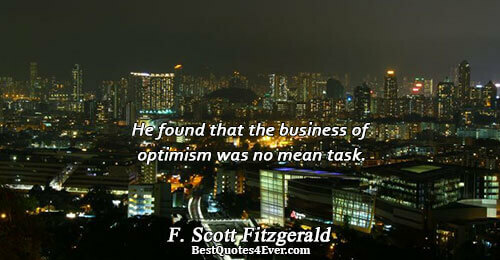 He found that the business of optimism was no mean task.